God needed another angel and called home his chosen one, Priscilla May Vaughan, on January 29, 2019. She was 91. Priscilla was born November 12, 1927 in Boston, Massachusetts. She was raised at 604 Webster Street in Needham, Massachusetts across the street from the high school from which she graduated. Following high school Priscilla attended Cazenovia College in New York and worked as a secretary in Boston. Priscilla married the love of her life, Joseph James Vaughan, on Saturday May 26, 1951. Over the next few years she gave birth to a son and a daughter. When her children were very young Priscilla's husband was transferred from Boston to Southern California. Initially this move was very hard for Priscilla because she was homesick and missed all her relatives on the East Coast. 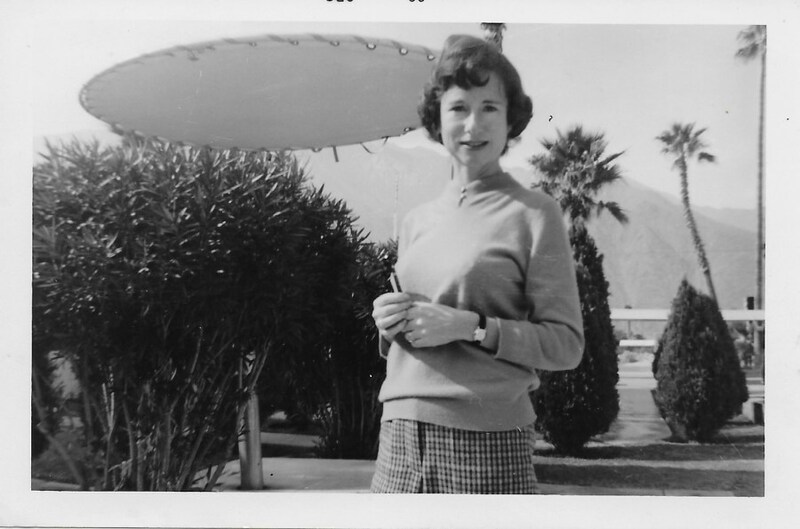 However, Priscilla eventually embraced the California lifestyle. Her adjustment was made easier by annual family trips to Carmel, Palm Springs, and Del Mar as well as an extended stay in the famous Chateau Marmont Hotel in Hollywood when she first arrived in California. None of these wonderful vacation spots could replace Cape Cod, which always remained her first love. When her children were young and at home Priscilla focused on being the best mother and wife she could be. The best evidence Priscilla achieved that goal could be found in her nickname, "Heady", bestowed on Priscilla because she was the undisputed "Head" of her household. Once her children went off to college Priscilla went back to work as a hostess in a Mexican restaurant. Priscilla was an avid conversationalist, and her job as a hostess allowed her to express a skill set that came quite naturally to her. Priscilla's favorite customer was Carl Karcher, the owner of Carl's Jr., who gave her free coupons for hamburgers. Priscilla's husband died in 1993 after 42 wonderful years of marriage. 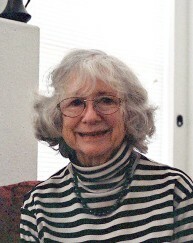 In 2000 Priscilla moved to a home in Harbor Bay in Alameda to be closer to her children and grandchildren. She loved to spend time with them and talk on the phone with her family in Boston and her close friends in Southern California. Her favorite meals were hamburgers at Carl's and turkey dinners at Harry's Hofbrau in San Leandro. Her preferred beverage was a glass of Kendall-Jackson chardonnay. Her favorite hobbies were hunting for bargains at Ross and buying birthday and holiday cards for her friends and family at Trader Joe's in South Shore Shopping Center. Priscilla also very much enjoyed talking to all the employees at the Harbor Bay Safeway market and CVS pharmacy. In more recent years Priscilla resided at Waters Edge Assisted Living facility in Alameda and most recently Lake Park Skilled Nursing facility in Oakland. Priscilla's family wishes to express our gratitude to all the humanistic staff at both of these special places that treated Priscilla with kindness, compassion, and dignity. Long before the age of computers and social media Priscilla understood how to form real human connections with the people she cared about. Whether connecting with people by writing letters, talking on the phone, or conversing in person, everybody felt better after interacting with Priscilla. She somehow instinctively understood a concept stated most eloquently by a famous President, "People don't care how much you know, until they now how much you care" (Theodore Roosevelt). Priscilla cared a lot. Priscilla was preceded in death by her father, Harold Clark Wilkinson; her mother, Gladys (Sweetser) Wilkinson; her step-mother, Mildred Wilkinson; her husband, Joseph James Vaughan and her sister, Virginia Galarneaux. Priscilla is survived by her son, Christopher Mark Vaughan M.D. and his partner Jocelyn Ner R.N. ; her daughter, Nancy Ellen Vaughan and her daughter's husband Rick Bohner; her granddaughters, Jessica Lindsey Vaughan M.D. and Samantha Erin Vaughan; her sister Virginia's daughters, Debra O'Neil and Susan Mollica; and a caring host of nieces, nephews, cousins, and friends. A celebration of Priscilla's life will be held at the Greer Family Mortuary located at 2694 Blanding Avenue in Alameda, Calif on Tuesday February 5, 2019 between 5-8 pm. The following morning Priscilla will be going home to be laid to rest with her parents in Needham Cemetery in Needham, Massachusetts.